Jul 30, 2010 - N.A. Obviously done by computers with humans watching as bystanders; watching the DOW crash by 600 points in 15 minutes last May. They call this liquidity? We call it chaos! 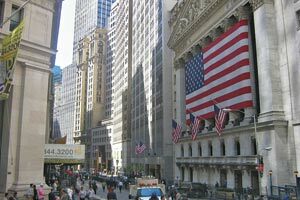 This new game started about 10 years ago under the then-acclaimed Fedreal Reserve Chairman Greenspan, who trusted stock geniuses to be honest and act in the best interest of America. He was wrong on both counts. Now small investors get robbed, but do not know it; and large investors like pension funds get robbed and know it, but don’t know what to do to stop the assault. Bureaucrats and journalists, being literature literate but financial dummies, have done very little to publicize this piracy, and nothing to stop it. Establish a minimum holding period for all stock buyers of 1 month. Anything less than this, and you have to pay 100% tax on any gains. That will take away the incentive of millisecond trading. Of course, they will say: “Interfere with our right to a free market?” Well, the answer is “NO”… The free market continues; it is the gambling casino we should close. Stock trading was invented to help finance business start-ups and long-term, value investors, like Billionaire Buffet. Now these high-tech pirates are not investing in our businesses, creating jobs or new inventions. They are just gambling. And if you add derivatives and swaps, the gambling in Wall Street has overtaken the productive part of stocks by almost 10 to 1. And only the gamblers and pirates win. Not you, or me, or America. If all the money that is being gambled becomes available for start ups and real estate, we will have a fast growing economy again! 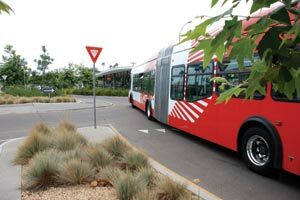 New Fad: Roundabouts = Not Green! Large trucks, fire engines, and double buses have to slow down so much to maneuver a roundabout that they can cause a traffic jam even on a Sunday morning, as pictured here in the Bird Rock roundabouts. We should replace 80 – 90% of STOP signs with YIELD signs; at many of the intersections where the other street traffic is very minor, especially in residential areas. 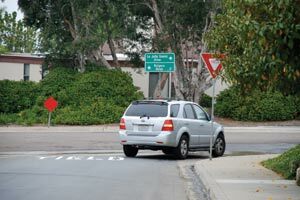 The yield sign pictured here is on busy La Jolla Mesa Drive on the way to La Jolla Scenic Drive. It is not GREEN to have to stop for nothing. I noticed a new restaurant in La Jolla, called Aroma Café, and have eaten there a number of times for breakfast. I like sitting outside so I sat at one of the sidewalk tables. How controversial those tables are! Aroma is located at the corner of Fay and Prospect (in the former location of the Hard Rock Café). I called one of the owners, Ben Tashakorian. He told me that he worked with his partner Oved Haskal, for 6 months prior to the June opening, remodeling and creating a unique menu. Both men are local entrepreneurs who have lived in La Jolla for decades. The restaurant reflects the cultural background of its owners, combining Middle Eastern and Western European influences. The corner property will house Aroma, the bakery and restaurant, and BarFly, a sports bar. The controversy about the sidewalk tables revolve around the number of feet allowed for sidewalk clearance for an outdoor sidewalk cafe. 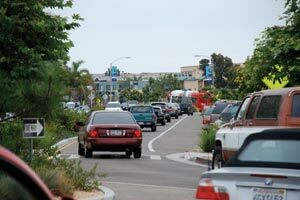 The City of San Diego approved the 6 feet clearance for the tables, but then the La Jolla Community Planning Association (LJCPA) on April 1 voted to deny the sidewalk café citing a La Jolla ordinance requiring 8 feet. 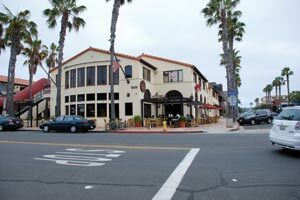 As anyone who frequents La Jolla knows, numerous restaurants are in violation of the 8’ rule, Alfonso’s, The Living Room, The Grande Colonial, Kitima, Whisk N’ Ladle, Brick & Bell, The Burger Lounge and SmashBurger. In the June 3 meeting, LJCPA voted to withdraw their appeal with the City.